Manchester City didn't want to make Sanchez the highest-earning player at the club. Arsenal forward Alexis Sanchez has come in radar of Manchester United after fierce rival Manchester City ended their interest in signing him on Monday. City are unwilling to match the transfer fee and related costs to sign Sanchez that are being offered by United or Chelsea, which is the latest contender for his signature, a person familiar with negotiations told The Associated Press. City also didn't want to make Sanchez the highest-earning player at the club. The person spoke on condition of anonymity because they were not authorised to comment publicly about the negotiations. City reached their decision about Sanchez following a meeting of the club's hierarchy and manager Pep Guardiola on Monday. City were close to signing the Chile international on the final day of the summer transfer window, but a deal fell through. United have been strongly linked with Sanchez, who is out of contract at the end of the season, and are reportedly ready to pay 35 million pounds ($48 million) for a player who will be a free agent in six months. "Not confident but ... not unconfident," United manager Jose Mourinho said of his club's prospects of signing Sanchez. "Just relaxed, with the feeling he is an Arsenal player, that he can stay there, but also with the feeling that he can move. If he moves, I think we have a chance. "Most probably, a player like him, he probably has other big clubs who are interested. And who knows? I think him, (Arsenal manager Arsene) Wenger, (Arsenal chief executive Ivan) Gazidis, they are the ones who really know what's going to happen. I don't know anything about it. Today, I don't have one single piece in information so let's see what happens." 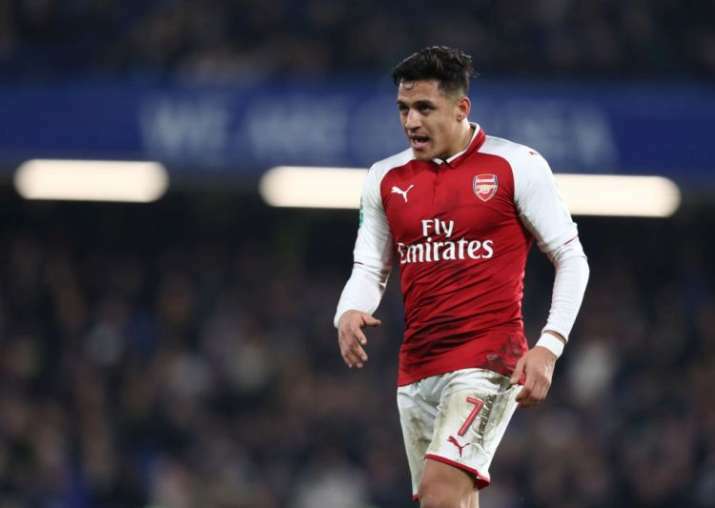 Sanchez, who has been at Arsenal since 2014, was left out of the English Premier League game against Bournemouth on Sunday because of the speculation over his future. He was only a substitute in Arsenal's League Cup semifinal against Chelsea last Wednesday.